I am busy at the Software AG meetings in San Diego. 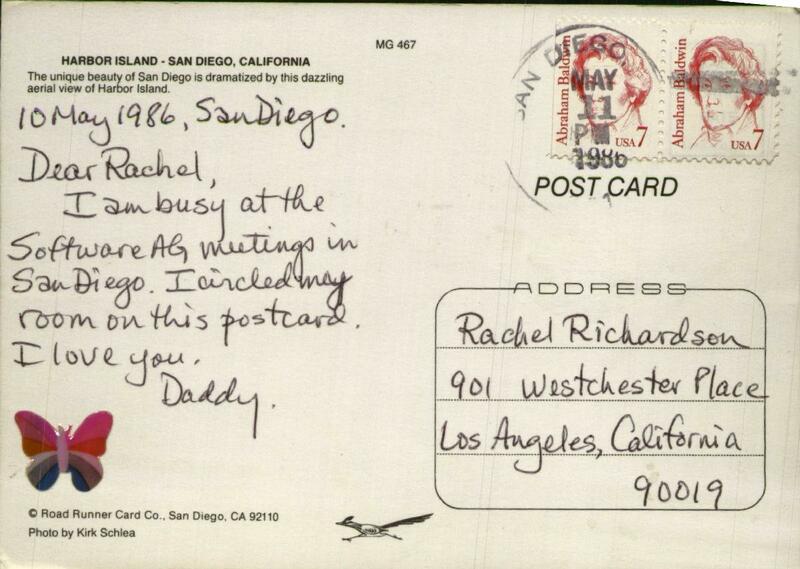 I circled my room on this postcard. I love you. 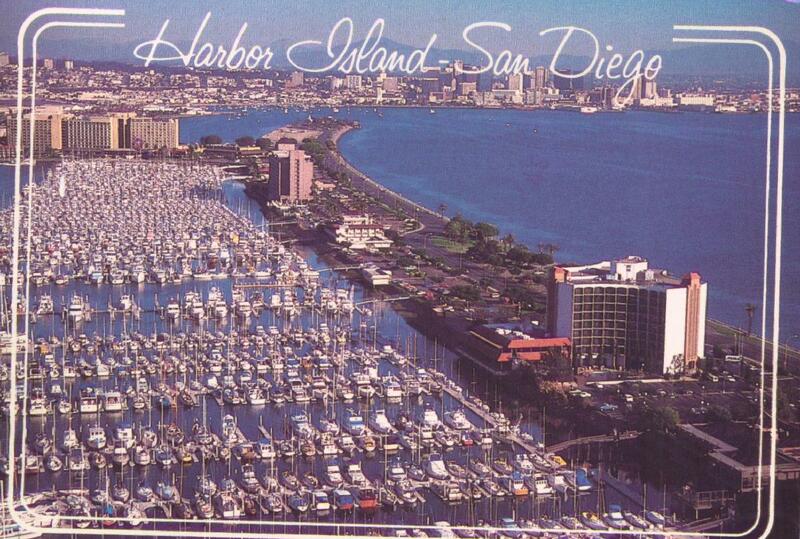 The unique beauty of San Diego is dramatized by this dazzling aerial view of Harbor Island.